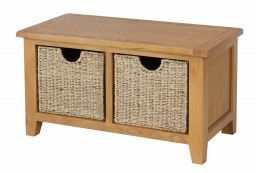 These Country Oak Hallway Shoe Storage Benches are a great addition to any hallway with the wicker baskets being a great way of storing muddy boots. Designed to be sat on while taking your shoes or boots on and off. Supplied fully assembled and ready to use. Better than expected. Would definitely recommend it. Good sturdy piece of furniture with lots of storage underneath. Just what I needed to fill a space under the window and provide extra seating when required. 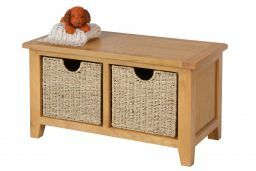 Robust shoe storage bench. Well wrapped. Very happy with two man delivery service. This was just what we were looking for. Very good quality. Description was accurate. Serve and delivery as described. Excellent item. Really delighted with it thank you. We are delighted with our new piece of furniture It arrived on the promised day & was well packed & looks more expensive than we had expected. Excellent product exactly what we were looking for , at a very reasonable price. Delivery was booked for 11 o’clock and it arrived on the dot. A text message notifying delivery time would have been appreciated. However I would certainly use “Top Furniture” again. Absolutely fabulous, I bought the larger one a while ago, and was so impressed with the quality, price and the service I ordered a smaller one for keeping the dog walking shoes and leads, I could not be happier. 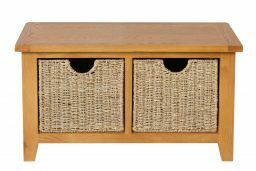 Lovely piece of furniture, just right for our small lobby. Well made so I am one happy customer. Just what I wanted. Not expensive, looks good & fits perfectly. Strong quality built storage bench , very pleased with the purchase and service provided by Top furniture.Thsnk you. great product at a great price...delivered on time ,thanks to the delivery lads phoning me 15 mins prior to delivery, helpful and curtious thank you and well done.